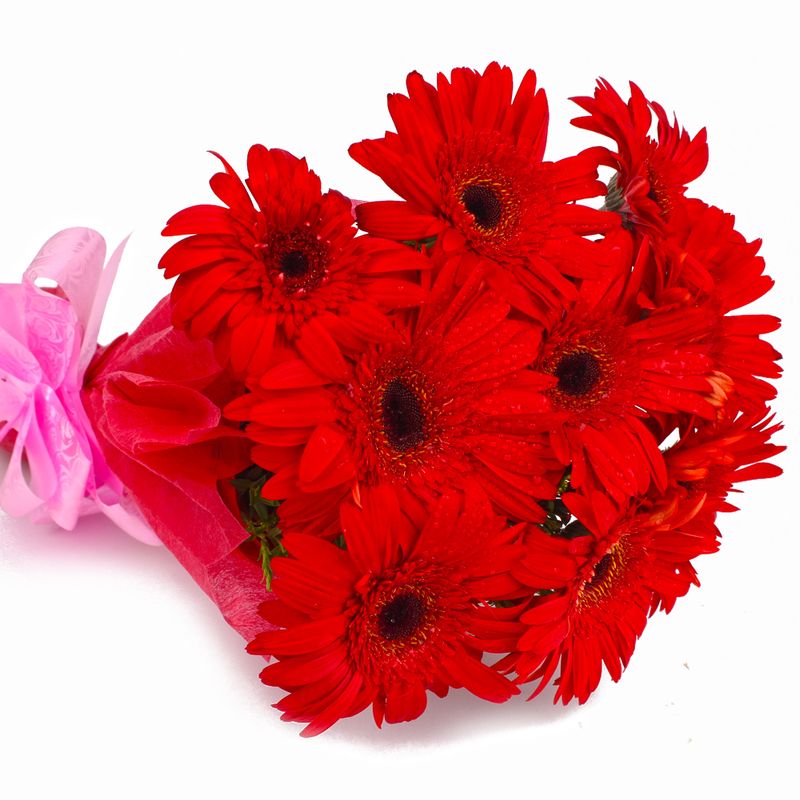 Product Consist : 10 Red Color Gerberas with green fillers in Tissue Wrapping with Ribbon Bow on it. 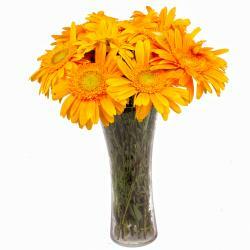 The Gerberas that we have here are all set to make your loved one elated from the core. 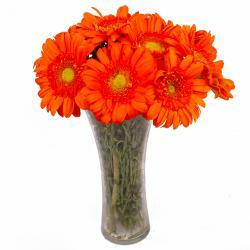 The bunch of Gerberas comprises of ten stem fresh and fragrant Gerberas which are wrapped carefully in tissue paper to look perfect. 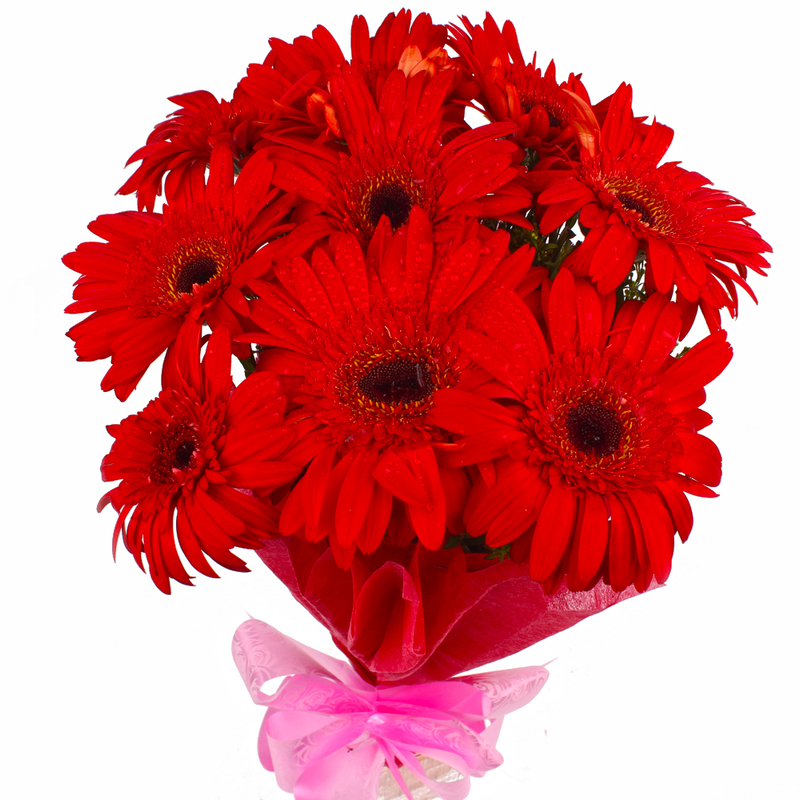 Red Gerberas go well as a gift on any occasion and specially on love filled occasions like Valentines Day, Anniversary, Birthday, Anniversary, Diwali, Onam, Parents Day, Boss Day etc. So go ahead and take a pick on this bunch that is sure to make an everlasting mark. 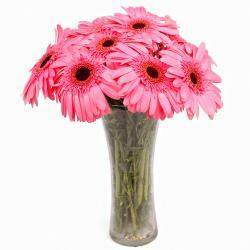 The Gerberas will sure delight senses of anyone gifted this to. 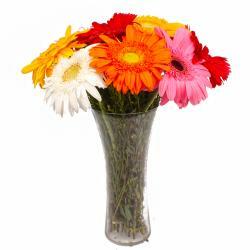 Product contains : Ten Red Color Gerberas with green fillers in Tissue Wrapping with Ribbon Bow on it.